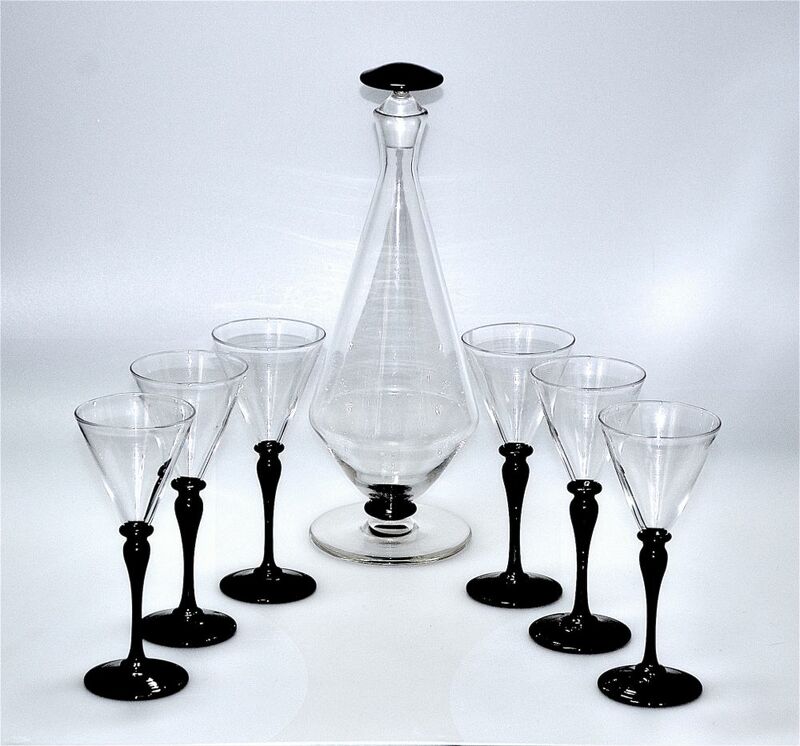 This stylish elegant decanter and 6 glasses were designed by Keith Murray for Brierley. The clear glass body of the decanter is supported by a black knop above a clear glass round foot. The stopper has a round domed black top. The base has he facsimile signature "Keith Murray" above " S & W " surrounding a Fleur de Lys & "Brierley". Each glass has a black glass round foot below a slender black glass balustrade shaped stem leading to a "V" shaped bowl. The glasses are not signed.